Are Disney Dining Reservation Re-sellers Cheating The System at Walt Disney World? The current system that Walt Disney World has in place for Advance Dining Reservations is fairly easy to use and to understand. Reservations for most full service restaurants can be made up to 180 days in advance. The reservations can be made online, or by calling 407-WDW-DINE (407-939-3463). There are two common problems that guests can encounter with the system. First, many people do not like planning their dining that far in advance. Second, reservations for some of the more popular restaurants will go that quickly. The current system should be fair to everyone and give all a fighting chance for a hard to get reservation. Unfortunately, there are now apps and websites that want to profit off of it and charge you more to obtain a reservation that you weren’t able to get on your own. In recent months, several reservation resellers have popped up. Among them are Disney Dining Scout, Disney Dining Buddy, Dis Dining Agent, and WDW Table Finder. Despite a similarity in some of the names, none of the new sites or apps are in any way associated with DisneyDining.com. Most of the apps and websites will search for your desired restaurant and time frame, and will email or text you when there is an opening. The fee for the service runs between $1 and $8. Dis Dining Agent works a little bit differently. The website lists available times and restaurants. The user will pick the desired reservation (listed on the site), and then pay up to $15 for the confirmation number and the name to give at check in. While the practice may seem unethical and unfair to many, it is not currently against Walt Disney World policy to sell dining reservations. Disney is aware of the practice and the potential implications. 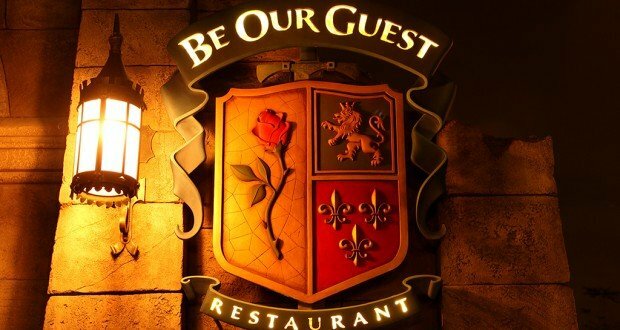 In an email released by the Orlando Sentinel, Disney spokeswoman Jacquee Wahler said, “we are currently reviewing the situation involving third party website dining services. Disney has no affiliation with these third-party services which can interfere with the guest experience we strive to create. On the surface, to some Walt Disney World fans buying dining reservations through a third party may not seem like a bad idea. After all, it could be a way to obtain a next to impossible reservation. But the problem goes much deeper than that. The more outside companies are used, the harder it is going to be for the average person to grab a reservation. Each person who uses the service will end up paying extra for a meal that is already expensive. No one should have to pay an added fee because they weren’t quick enough. There are a few things that Walt Disney World might need to consider to put an end to the reselling practice. They could start to require that a theme park ticket is linked to every in-park dining reservation. That would make it difficult for people who have not yet finalized their plans or bought their tickets. They could require an ID that matches the name on the reservation at check in. They could even limit the number of reservations that can be made to each email address. These are changes that will hurt guests in the long run. What do you think? Are dining reservation resellers offering fans a valuable service at a reasonable price, or are they taking advantage of guests who want the meal of a lifetime? Let us know in the comments below, but please be respectful of others.